Isabella and Kitija appeared in Ripley Academy of Dance's production Wonderland of Dance this week at Mansfield Theatre. The girls have worked hard, particularly Isabella during half term (Kitija was away), to learn the routines and put the show together. Very well done, Kitija and Isabella. 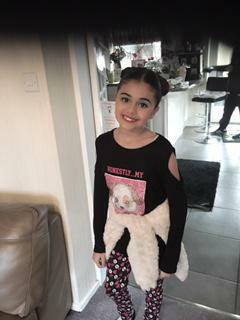 Here is Isabella ready for her performance. 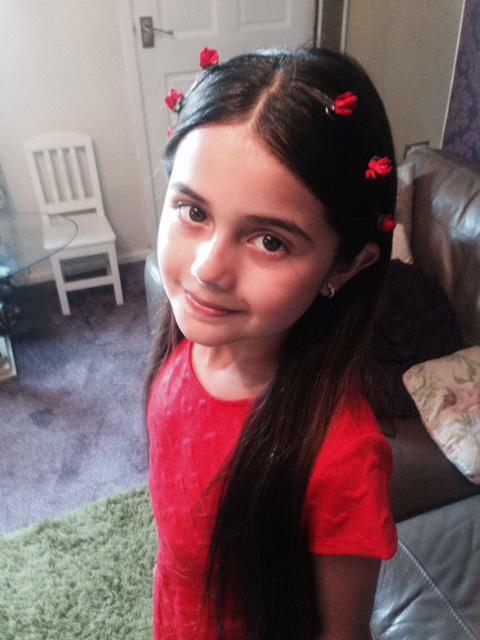 I sabella has taken part in filming for a new production starring Rob Brydon. Isabella, along with others from her drama school, was filming a school swimming scene. 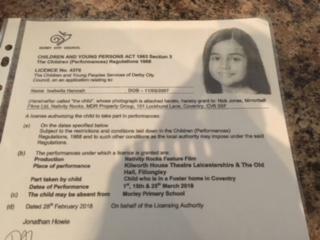 Her mum says she has worked really hard to be chosen for the part. Great work, Isabella. Well done. Isabella has been cast in the 4th Nativity film to be released next Christmas. She has been filming in Leicester in real snow!